As telephone systems have mutated from traditional analogue and digital phones, to IP phones, legacy BT wiring is becoming increasingly redundant. The older type of wiring is not able to support modern systems and in many cases is not fit to support older types! By updating wiring to category 5e or category 6 structured cabling, you are future proofing your infrastructure for both voice and data, as well as reducing issues such as poor or intermittent voice quality and of course making your PC network more efficient. Cabling infrastructure is often forgotten in deploying a new voice or data system, which presents reliability issues for the future. With the correct cabling in place, you can now look at how you present yourself to the outside world. ADSL, or broadband is an option, however, from our own statistics, the predicted data use for 2013 is 63 Gigabytes per month. With this amount of regular data and a reliance on cloud and web services, a robust, reliable connection is required, along with disaster recover if using broadband. There are a range of lower cost, business grade services that can be deployed, with service levels that are in line with your own business needs. 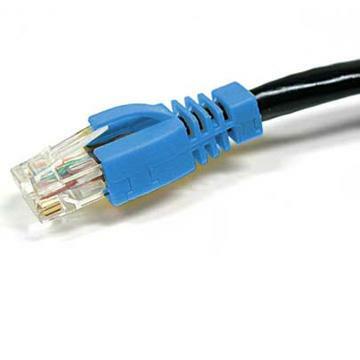 These are based on using Ethernet as the technology, rather than ADSL. The technology used is FTTC, FTTP, EFM, GEA and fibre. It is key to engage with a partner who understand these types of services, and importantly what they mean.